Well hello there! It’s been nearly two weeks since my last blog post and ageeees since my last tournament preview. After the US Open and an exhausting summer, I needed to take a break. 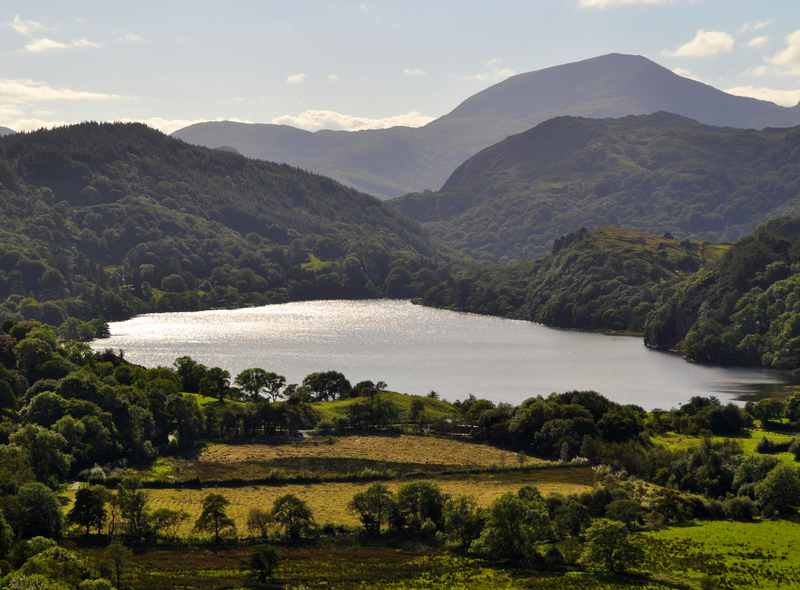 I just spent a relaxing week in Wales – my batteries are definitely recharged! I wanted to bring you up to speed with how i’m feeling and what is planned for the rest of the year on Moo’s Tennis Blog. I’m still as passionate as ever to maintain the blog, but this has been the most challenging year so far since I started back in 2011. When I do something I go all in – I want to cover everything but I have begun to accept this year that is not possible with other commitments such as a full-time job and the need to sleep (occasionally). I decided to be more selective this year and to take some time off between the big tournaments to keep things fresh. I think this has helped me to still be enthusiastic heading into the final stage of the 2016 season. The intention is to blog every week up to Singapore and i’m excited about some new ideas for posts planned in the off-season… but for now it’s back to the tennis where the women are in the midst of the Asian Swing. Starting Sunday will be the third edition of the Wuhan Open and the line-up is excellent with Serena Williams the one glaring omission. Once again, let’s take a look at the seeds and the draw…. Angelique Kerber (1): Kerber will be playing her first tournament as the world number one. There was the briefest of lulls after she won her first Slam in Melbourne but Kerber will be attuned to the pressures and expectation; the way she handled everything at the US Open was mightily impressive. The biggest concern in Kerber’s return to the tour may be whether she’s mentally and physically ready to get stuck in during the Asian Swing after a bruising summer where she won 26 out of 30 matches. Agnieszka Radwanska (3): It has been a largely consistent year for Radwanska although it will most likely be tinged with disappointment as she failed to advance past the fourth round of the last three Slams and once again, came up short in her attempts to reach a first US Open quarter-final; Radwanska is now a curious 0-5 in US Open fourth round matches. Asia has always been a happy hunting ground for Radwanska and she opened her campaign with a semi-final showing in Tokyo as defending champion; Radwanska served for the victory against Caroline Wozniacki, but lost out in three sets, 6-4 5-7 4-6. Simona Halep (4): Halep enjoyed a superb US hard court season, winning 17 of 19 matches and performing to the best of her ability in New York; the Romanian’s two losses during the summer came against the two best players in the world. I always felt Halep was a little suspect when things got tight or there was pressure exerted on her, but she’s looked much more resilient of late, showcasing a stronger serve and a willingness to be a tad more aggressive in the crux moments. Halep pulled out of Tokyo due to a left hamstring injury which was, in my opinion, a proactive move to prepare for the bigger tournaments in Asia. Karolina Pliskova (5): Pliskova returned to the tour in Tokyo after a magnificent run at the US Open where she defeated both Williams sisters en route to a first Slam final. It was a result that had been on the cards based on form after she won Cincinnati, but still came as a slight surprise considering she had never made it past the third round of a Slam prior to New York. Perhaps it was a little too soon for Pliskova to return after she was defeated in straight sets by the world number 107 in her first match in Tokyo, Aliaksandra Sasnovich, 4-6 2-6. Venus Williams (6): Venus arrives in Wuhan four wins off her total at the same time last year although have been many noteworthy highlights. For the first time since 2010, Venus reached a Slam semi-final (at Wimbledon) and made the second week of the French Open. Chuck in a silver medal in the mixed doubles at the Olympics and it’s been another good year for Venus. Fun fact – Venus’s last three titles have all come in Asia. Carla Suárez Navarro (7): The highs haven’t been quite as high as in 2015 when she reached the finals of Miami and Rome through a magnificent Spring but Suárez Navarro has managed to sustain a much more consistent level throughout much of 2016. This included a first Premier title in Doha where she worked her way through a tricky final against Jelena Ostapenko. Perhaps the most notable achievement of Suárez Navarro’s year is that she has reached the second week of every Slam in 2016; she didn’t make it past the third round at any of the Slams in 2015. Madison Keys (8): Keys has come a long way in 2016 establishing herself as a top ten player; however, her fourth round loss to Caroline Wozniacki at the US Open showed that there’s still a long way to go. Keys took a late wildcard into Tokyo which didn’t go to plan as she missed two match points against Yulia Putintseva in a first round loss, 3-6 6-3 6-7(7). It was only the third time in 2016 that Keys had lost her first match at a tournament – a stat that shows the strides Keys has made this year in terms of consistency. Of the 16 seeds, just three have never won a match in Wuhan before; Agnieszka Radwanska, Dominika Cibulkova and Sam Stosur. Radwanska’s had it tough these past two years, drawing Caroline Garcia and Venus Williams in her first matches. Cibulkova lost in the first round to Madison Brengle last year which completely escapes my mind. Former champions, Venus Williams and Petra Kvitova, have been the most successful players in Wuhan before with six victories each, along with Muguruza. Kuznetsova v Bencic: This is the stand-out of the first round matches for me. Bencic has had rotten luck these past two weeks, drawing Wozniacki in Tokyo and now Kuznetsova in Wuhan. Bencic has dropped like a stone in the rankings due to numerous injuries in 2016 and needs matches. A decent end to the year should set her up well for 2017. This is a 50-50 match; Kuznetsova can start slow after a break from competitive matches, but she’s been better in that regard compared to last year. I think Kuznetsova will win more than the three games (!) she won when they last played in Tokyo in 2015 but if this were to become a battle then i’d have more faith in Bencic, despite some recent wobbles on the tour, at closing out the match. Jankovic v Gavrilova: Take me to Wuhan for this one! Jankovic’s best form has been synonymous with Asia in the last few years and she reached the final in Guangzhou on Saturday, coming up short in a fabulously entertaining showdown against Lesia Tsurenko. Gavrilova hasn’t played since the US Open after pulling out of Tokyo with a right Achilles injury. Jankovic dropped just two games when the pair played in Hong Kong last year. The Guangzhou run implies Jankovic is feeling better physically and she has more weapons than Gavrilova so i’d take the Serb in this match. Stosur v Wozniacki: Magnetically attracted in recent draws, Wozniacki and Stosur will play each other for the 3rd time in as many months. Wozniacki is enjoying a rapid resurgence on tour – the key to the turnaround, in my opinion, has been the return to full fitness following months of niggles and a serious ankle injury in the spring. A semi-final showing at her best Slam in New York has been followed by a run to the final in Tokyo (where she plays Naomi Osaka on Sunday at time of writing). Stosur’s year has been spearheaded by a semi-final appearance at the French Open but she hasn’t won more than two matches at one tournament since then. Stosur is also winless in two previous appearances in Wuhan. While Wozniacki is likely to be fatigued from many hours on the court in Tokyo, she’s always been one of the fittest players on tour. I’d fancy her recent flurry of wins and renewed vigour to see her through this match. Vinci v Puig: I was seriously concerned that Vinci’s quarter-final defeat to Angelique Kerber at the US Open may have been her last competitive match. Vinci continues on in Wuhan where she played some superb tennis last year. The Italian was struggling with a leg/foot injury at Flushing Meadows and faces a tricky opener against Olympic gold medalist, Monica Puig who’ll be causing shudders in draws for the top players for many months to come. I’d take Puig, who rebounded well in Tokyo after a first round loss at the US Open, to cause the “upset”.
.@SerenaWilliams withdraws from @WuhanOpenTennis and @ChinaOpen. Who do you think will win Wuhan? Have your say in the tournament poll below and as always, comments are appreciated! If you are entered into the Tennis Draw Challenge game, remember to get your picks in HERE now! 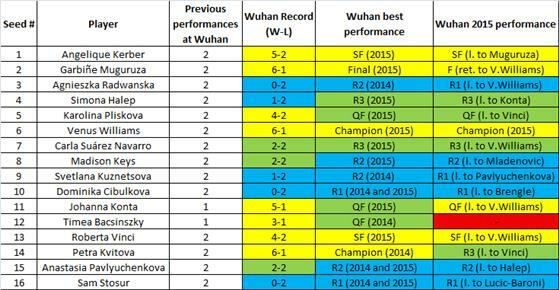 September 24, 2016 in Tournament Preview, WTA, Wuhan. ← Lucie and Beth win the US Open Doubles! I just feel devastated for Bencic. The amount of times she had to retire or withdraw from matches and tournaments this year is huge. It’s probably better off for her to take the rest of the year off and focus on next season. She’s too good not to be ranked inside the top 10. Imagine that’s it for 2016. Hope she can get healthy during the off-season and come back strong in 2017. I agree, at her best and injury free I think she’s a top ten player. I do as well, however, I still see Muguruza and Bencic as future number 1s and 2s. Actually, it’s more of my wish. Lol. I think Bencic needs a very very good physical therapist/trainer, she is very young and all these injuries at such a young age is not a good sign. True although I think Belinda’s been unlucky a few times this year, like the fall in Wuhan and slipping on the wet court in Birmingham. If she can get healthy in the off-season, I have no doubt she can rebound next year. Still young and many years ahead on the tour! Do you rate Kasatkina, Bryan? Ah glad you’re back, James! I was eagerly awaiting your next preview 🙂 🙂 Hope you had a good time! Curious to see how Kerber plays and I’m a little bit gutted that Serena isn’t playing. Somewhere, I came across a quote of Moratoglou saying that Serena will let go the no. 1 spot for now and will target the GS. He also said it’s not about reaching 23 titles but about reaching an even higher number such as 30 so that this new record would be untouched forever 😀 I believe that Serena def has 2 – 3 more GS in her but 30 is doubtful as her body is not 20 anymore. My wish for Wuhan and Beijing is that the RTS is heating up a little bit. There are still 6 spots to grab and I’m beyond excited to see who will make it!!! Had a lovely break and actually feeling refreshed to blog again. I’m not sure how much i’ll be able to watch next week (work urgh) but hoping i’ll find some gaps to watch/write about the tennis. I’m really hoping Serena shows up in Singapore and also to see some new faces qualify! I’d really like to see Angie v Petra in the next round. I dont see things changing for Aga at Wuhan with this draw, nope! Hingis-Coco are back together, it was a bit bizarre that Coco was in Tokyo but Hingis played with Jankovic at Guangzhou. Mirza-Bara are doing quite well so far. 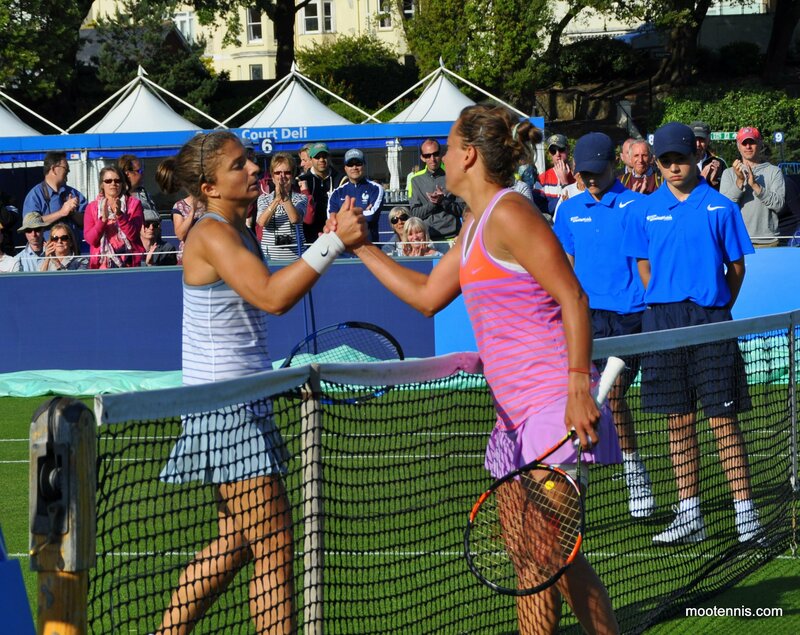 Yes Mirza-Strycova are a great pair, seems to be working well so far. Some of the best third round matches at a tournament in a while.. Angie vs Petra, Aga vs Caroline, Pliskova vs Cibulkova, Venus vs Svetlana..
Let’s hope we’re all in for a treat! Fingers crossed some of these matches live up to anticipation. One of the best line-ups all year!